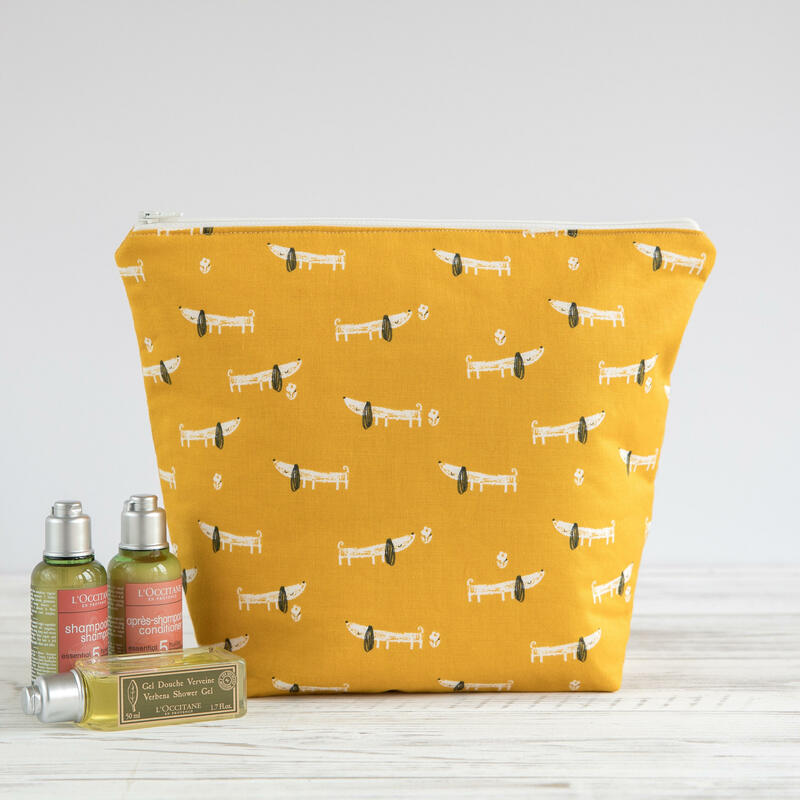 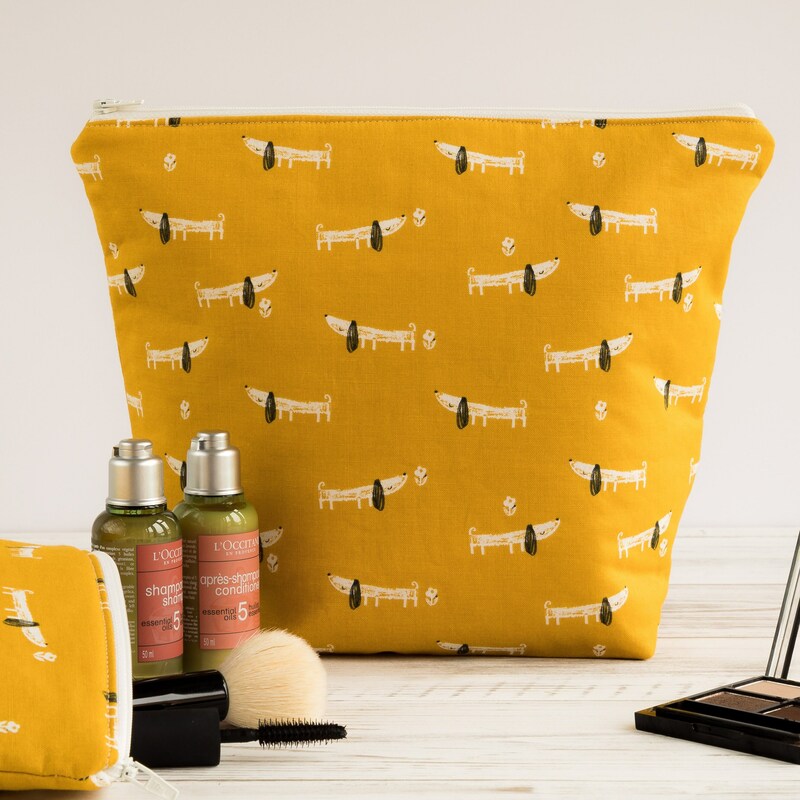 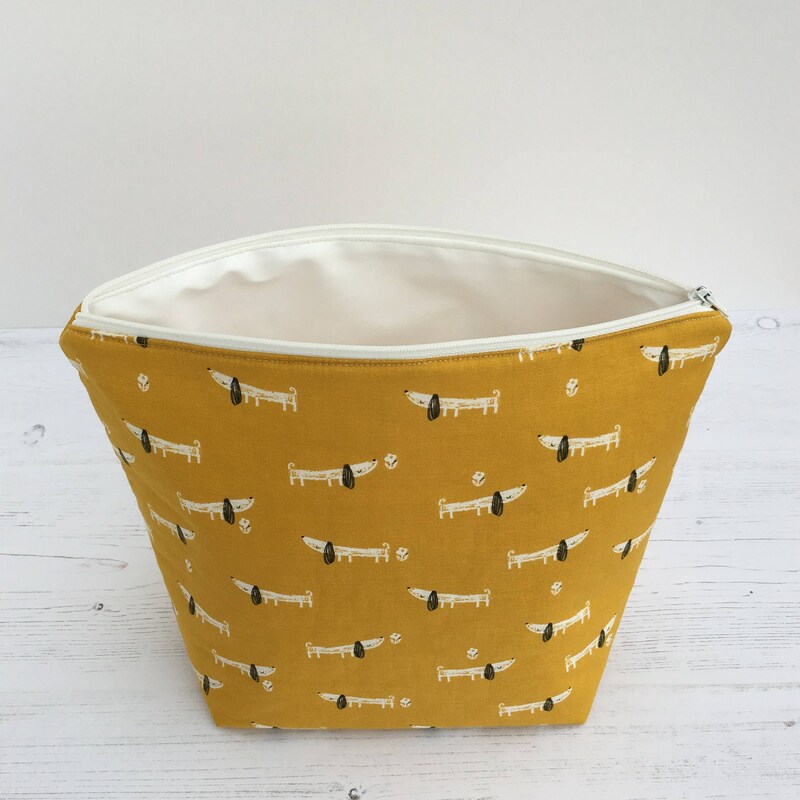 The wash bag is made from high quality cotton fabric in a gorgeous mustard shade featuring adorable Dachshunds / Sausage dogs. 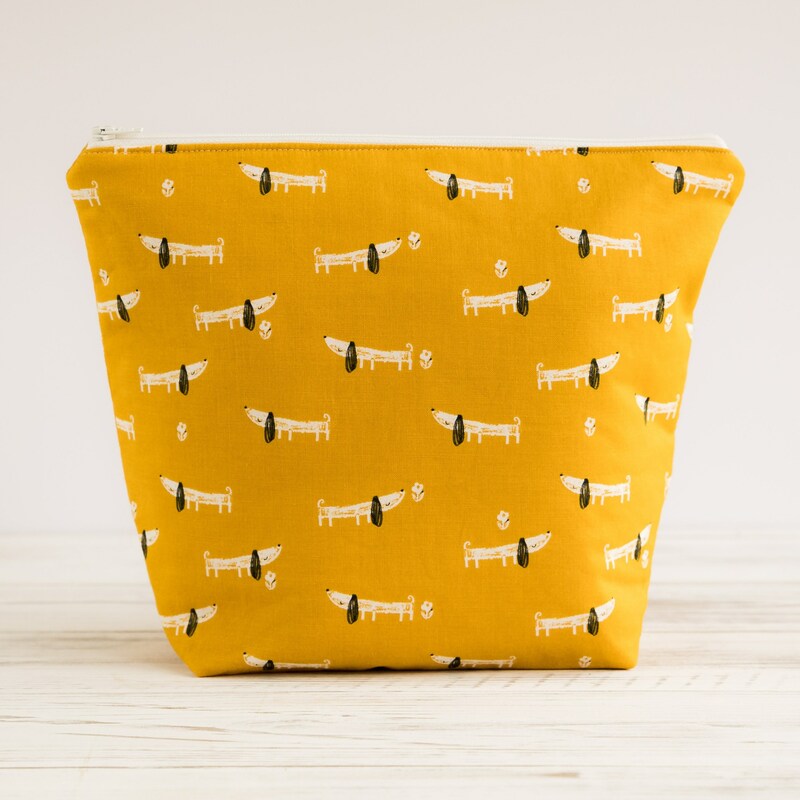 Each bag is fully lined in a white high quality waterproof and durable PUL fabric which can be easily wiped clean and padded with fusible interfacing to give it a little shape. 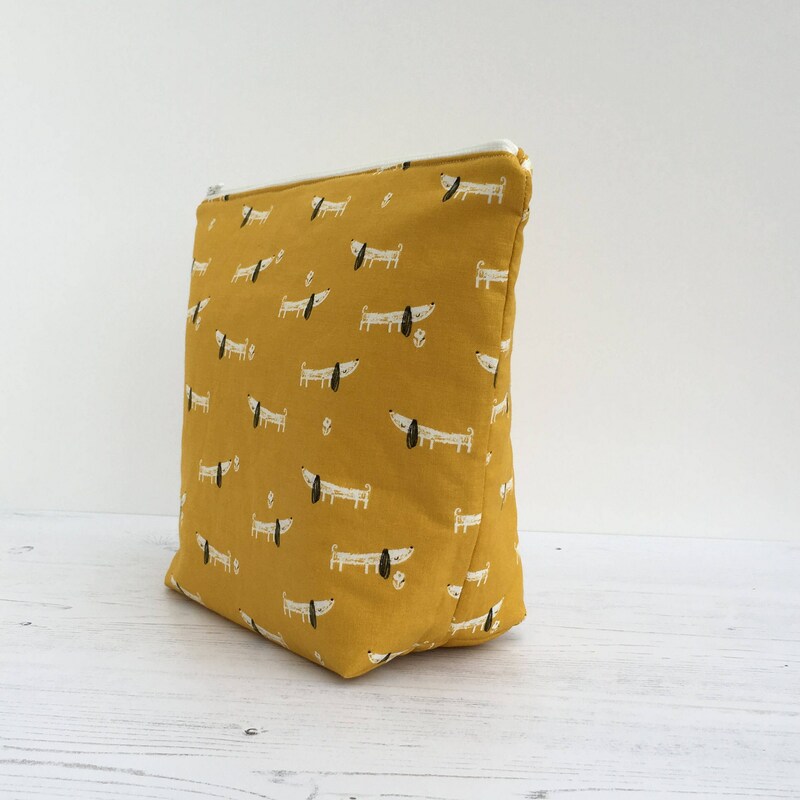 Finished with a white zip closure to keep all your items nice and secure.